When you become a parent through adoption, your child’s hair and skin may be different from your own -- particularly if you adopted transracially. Join Brooke Jackson, M.D., a board-certified dermatologist, to ask questions about any of the challenges you've faced during Adoptive Families' Caring for Your Child's Skin and Hair Expert Webinar on December 12, 2012 from 1PM to 2PM ET. Submit questions in advance by posting a comment below. Brooke Jackson, M.D., a board-certified dermatologist, is the Medical Director of the Skin Wellness Center of Chicago and a Clinical Assistant Professor at Northwestern University. 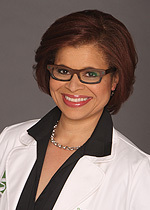 Her specialties include ethnic skin care, laser therapy, and skin cancer prevention. She recently published a guidebook for adoptive families, Child of Mine: Caring for the Skin and Hair of Your Adopted Child. Dr. Jackson is also a 10-time marathoner, eight-time triathlete, and the adoptive mom of three energetic toddlers. Listen to a recording of this webinar and see the full lineup of upcoming Adoptive Families webinars. My 2 year old daughter is Black and I am white…her hair frustrates and confuses me. I’ve had lots and lots of advice given to me, but nothing that I feel is “the answer”. My biggest frustration is that her hair doesn’t grow. Is there anything I can to to help it grow? I see all these little AA girls with beautiful long braids and I want to be able to do that with her hair. Help please! By Haley'sMom on Monday, December 03, 2012 at 11:53 pm. my daughter’s birthmother is white and her birthfather is black. my husband and i are white. my daughter’s skin is very dry and can get scaley as well. it is smooth and beautiful as long as we use aquaphor, but it gets dry if we try something more natural like coconut oil. is this just the nature of her skin or is there something else we could use? i hate using so much petroleum on her. By ksickafoose on Tuesday, December 04, 2012 at 5:53 pm. My 7 year old daughter is Latina, and seems to scar very easily, even if it’s just from scratching a mosquito bite. Is there any way to prevent them or lighten the marks she already has? We also have the dry skin problem, primarily bumps on the backs of her arms. By lhreardon on Tuesday, December 04, 2012 at 10:34 pm. Shea butter, shea butter, shea butter! It is a miracle, natural and inexpensive. I buy a five dollar tub of it from ethnic beauty stores. My daughter has eczema and is very dry over all. I use it on her skin after a bath/shower, on her face and scalp in the morning, on her feet before I put her socks on. Her skin is gorgeous and moist. You can mix in a little bit of other natural oils to soften it a bit if you’d like.I do that as a a sealer for her hair and it is great when I do a twist style to seal in moisture.. I cannot express enough how wonderful this stuff is and it is without a doubt the most inexpensive product that has multiple uses. Helps with scarring and healing. My daughter’s eczema is almost non-existent as a result of natural shea butter. Many products include shea butter now, but I say go to the source. This has been used in Africa for ages for good reason. By joadil on Wednesday, December 05, 2012 at 10:38 am. My daughter is Asian, Han Chinese. She has beautiful staight black hair that lies very flat and gives the appearance of being thin but is actually very thick. I am frustrated with her hair for the following:It always looks greasy no matter what I shampoo her hair with (I have tried all different kinds). I never use condition or detangler due to fear of making it look even greasier. It looks the worst just after a shampoo! I have tried blowdrying or natural dry and it is still the same. If her hair is unwashed for a few days it actually looks better (Less greasy and fuller). Help! By Gossamer19103 on Saturday, December 08, 2012 at 4:55 am. Hey! My 17 month old daughter is Caucasian/African-American and has curly hair that is a little coarse in the back. I would love some suggestions on specific brands of hair products that would work for her hair type. Also, I was wondering if spraying a little water on her hair each morning was a good idea or not-I like to wet, comb and style? Last question…what is causing her hair to fall out? It seems that I keep finding little clumps and what can I do about it? Thank you so much for your time and advice! By AdoptAMom on Tuesday, December 11, 2012 at 4:37 am. My son is 18 months was born in Africa and has constant tiny pimples on the bridge of his nose and nose. We’ve tried various skin care regimens/lotions. Any advice? By Ashley1877 on Wednesday, December 12, 2012 at 12:39 pm. I would love to be part of the webinar today, but have to work! Is there any way to access it later?? By newmama18 on Wednesday, December 12, 2012 at 3:28 pm. I just saw that the audio file will be available after the webinar today. Thanks! Will look forward to it!! By newmama18 on Wednesday, December 12, 2012 at 3:29 pm. Our son and daughter are bi racial (African American and Caucasian) our daughter has very curly hair but its not typical AA hair. It gets bushy when she wears it down all day. Is there a good product to help with this. She only 8 but very frustrated with her hair. By AngieConnolly0717 on Wednesday, December 12, 2012 at 3:35 pm.